Brenda Woodard (left) gave up Nikolas Cruz for adoption shortly after giving birth. A career criminal, Woodard never again met Cruz, who would grow up to commit a deadly school shooting in Parkland. His birth mother, Brenda Woodard, was sometimes homeless, and panhandled for money on a highway exit ramp. His adoptive mother, Lynda Cruz, stayed home to manage a 4,500-square-foot, five-bedroom house in the suburbs, with a two-car garage and a sprawling yard. A career criminal, Woodard’s 28 arrests include a 2010 charge for beating a companion with a tire iron; she also threatened to burn the friend’s house down. Lynda Cruz had a clean record. Woodard was so gripped by addiction she was arrested buying crack cocaine while pregnant with Nikolas. Lynda Cruz was known to drink wine, though not excessively. 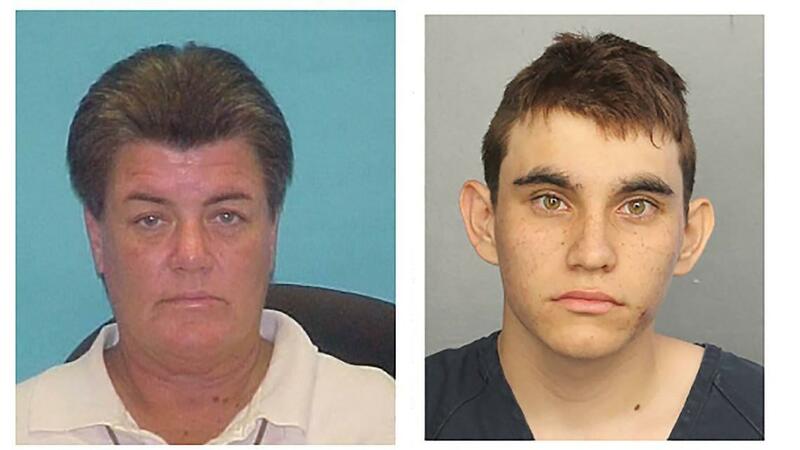 Conventional wisdom suggests that Nikolas Cruz should have taken after the woman who raised him from birth, rather than the one who shared only his DNA. But little of Cruz’s story is conventional. While, by most accounts, Lynda Cruz was thoughtful and disciplined, her adoptive son was violent and impulsive — characteristics he seems to share with the birth mother he never knew. Now the history of his birth family — sealed by statute and never before reported — could become a factor in his desperate attempt to stay off Florida’s Death Row.